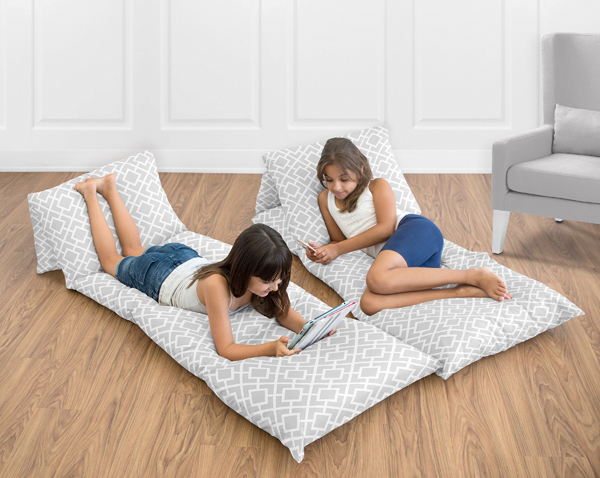 A Floor Pillow Lounger Cover by Sweet Jojo Designs will add extra seating space that�s kid friendly. 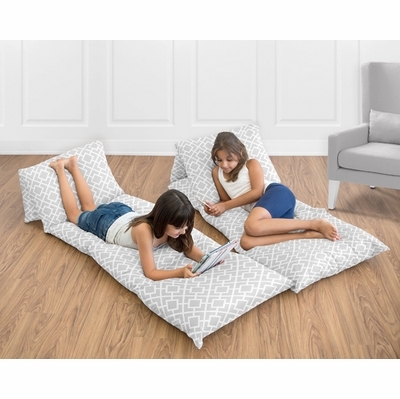 Simply insert 5 standard pillows of your choice into each of the connected zippered cases. Lay flat to lounge or fold under to use in a seated or reclining position. This is a pillow lounger cover only. Standard pillows not included. Love the fabric style? Sweet Jojo Designs also makes bedding and decor accessories in this exclusive pattern.